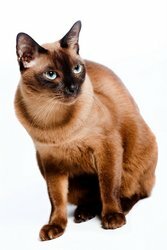 Looking for Asian names for your cat? Then you're in for a treat. I’ve compiled a list of names from different Asian countries and I share it here with you. I’m sure you will appreciate and enjoy the beauty and uniqueness of each name presented below. If you’re looking for an exotic cat name, consider an Asian-inspired one. And remember, your cat doesn’t have to be of an "Asian cat breed" (i.e. Burmese, Siamese) to have any of these names. There are lots of names to choose from. Below you will find a small sample of Burmese, Cambodian, Chinese, Japanese, Korean, Korean, Mongolian, and Indian names. The lists below include names for both female and male cats along with their meaning. Check back often as new information is regularly added to this site.